Perhaps the most striking and exciting restaurant to be featured aboard the Anthem of the Seas is Wonderland Imaginative Cuisine. Subscribing to the same school of thought as celebrity chef, Heston Blumenthal, Wonderland incorporates a scientific approach to cuisine. 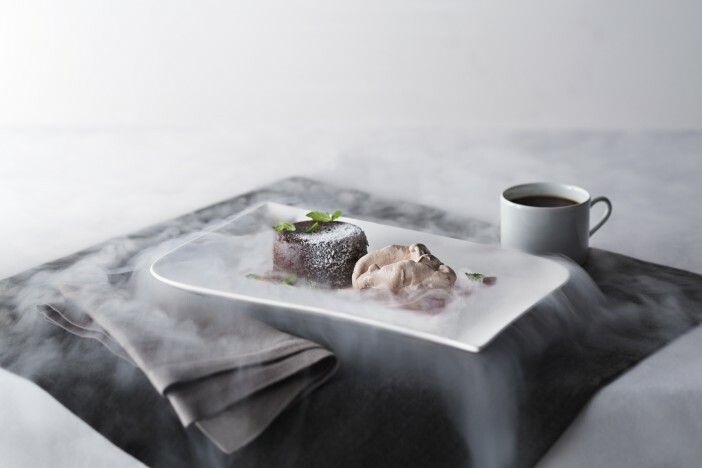 With precise measurements and science lab-style presentation – the menu from Wonderland presents a truly once-in-a-lifetime dining experience. 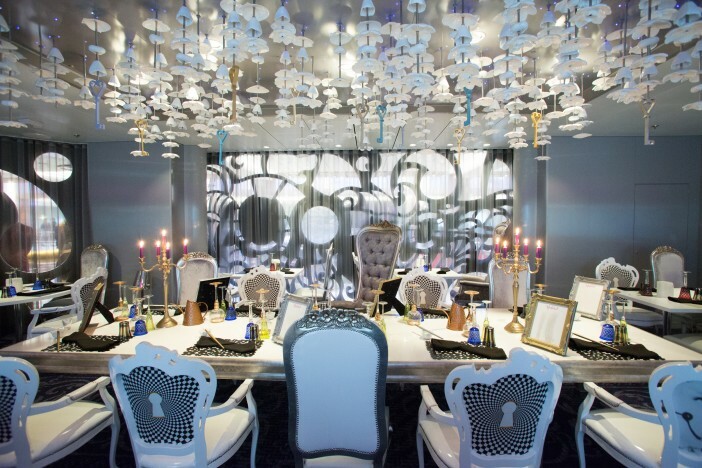 The Alice in Wonderland theme is strong throughout the imaginative restaurant with creative flourishes throughout the food, cutlery, crockery and furnishings. The restaurant offers an almost magical and spiritual experience: as soon as you open the menu you are presented with the task of finding your element – Sun, Ice, Fire, Water and Dreams – and selecting small and shareable dishes from your elemental section. From Liquid Lobster to Buffalo Pork Shank, the menu is full of dishes you won’t find in your local eatery – enticing you in to try something new. All of the recipes have been scientifically measured to be cooked to perfection – creating an incredible experience for all the senses. In charge of the menu is Cornelius Gallagher, the Director of Culinary Operations at Royal Caribbean International. 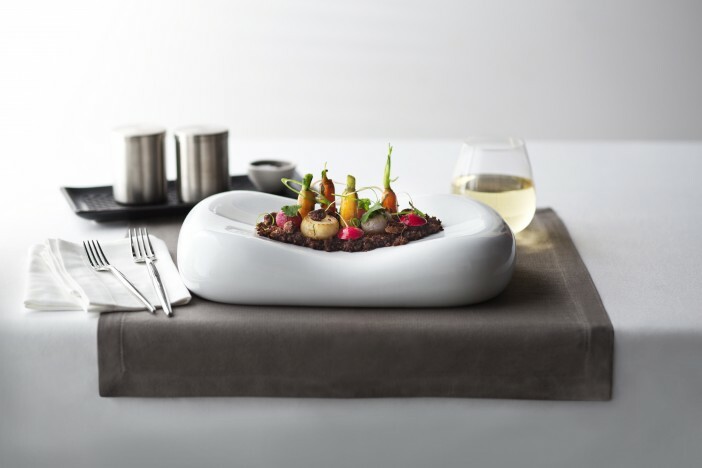 A globally-recognised chef, Gallagher has worked at some of the world’s best-loved restaurant and hotel kitchens, including elBulli – the Spanish restaurant named the world’s best a record five times, in 2002, 2006, 2007, 2008 and 2009. With a capacity of only 62 guests at any one time, Wonderland Imaginative Cuisine offers an incredibly intimate experience. This allows the skilled team of chefs to pay incredible levels of care and attention to every dish they prepare for their guests. The captivating and carefully planned design of the restaurant ensures that no two tables and settings are identical, creating a realistic impression that you have entered through the looking glass and down the rabbit hole. Perhaps the most striking and exciting restaurant to be featured aboard the Anthem of the Seas is Wonderland Imaginative Cuisine.